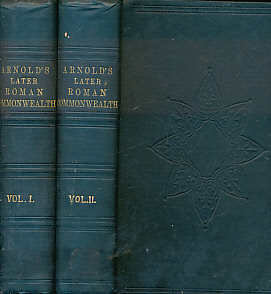 Barter Books : Arnold, Thomas : History of the Later Roman Commonwealth. Two Volume Set. 240 x 160 mm (9 x 6 inches) - viii, 541pp; 476pp. G : in good condition. Many pages uncut. Ex lib.